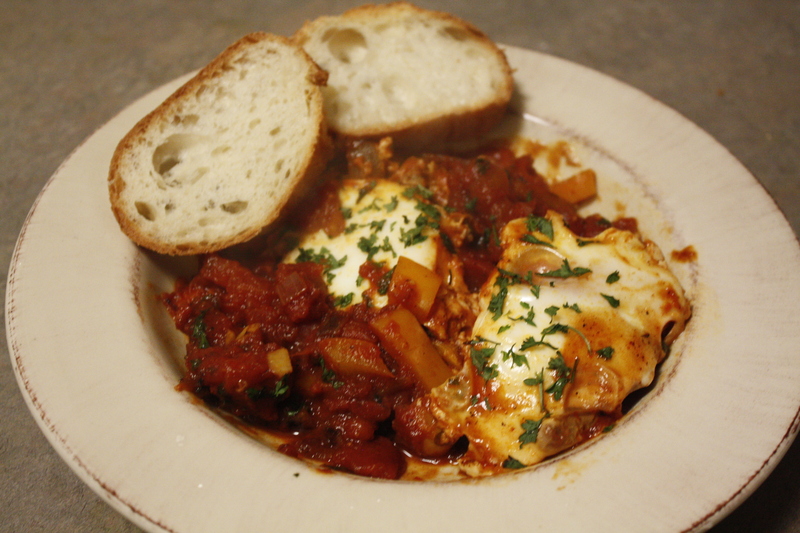 We love any shakshuka we have come across. Especially the one we enjoyed at Tatte (BMH Review of Tatte Fine Cookies and Cakes, Cambridge). 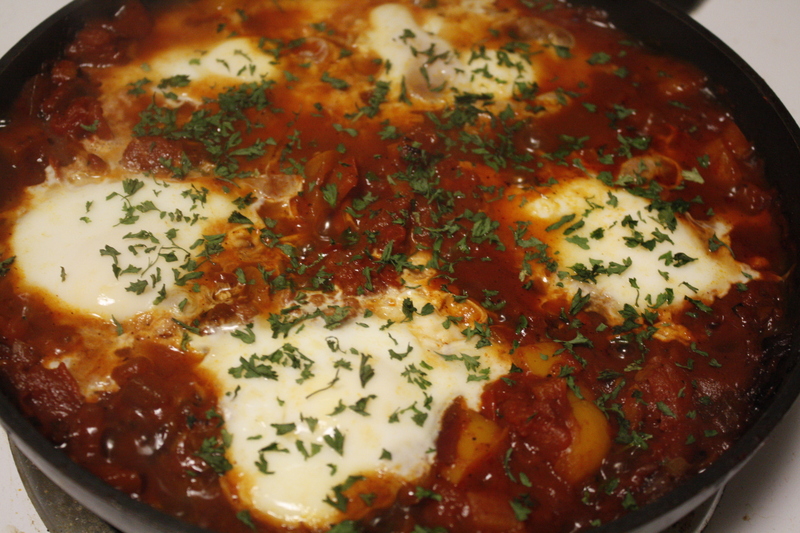 We tried this recipe at home and enjoyed the shakshuka, but should have added goat or feta cheese. Heat some olive oil in a heavy-based frying pan or skillet. Lightly fry the onion and garlic until they’re soft, for about 10-15 minutes.Then stir in the peppers and gently cook for 5-10 min. 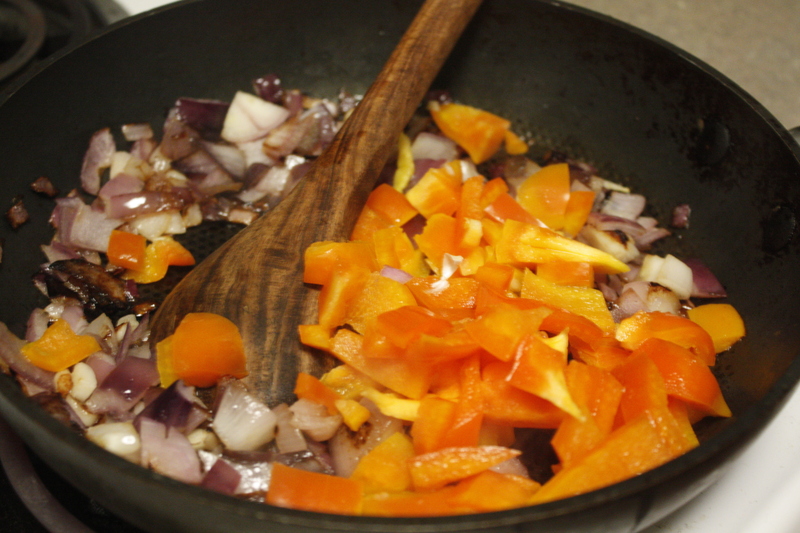 Add the spices for 1 minutes, stir. 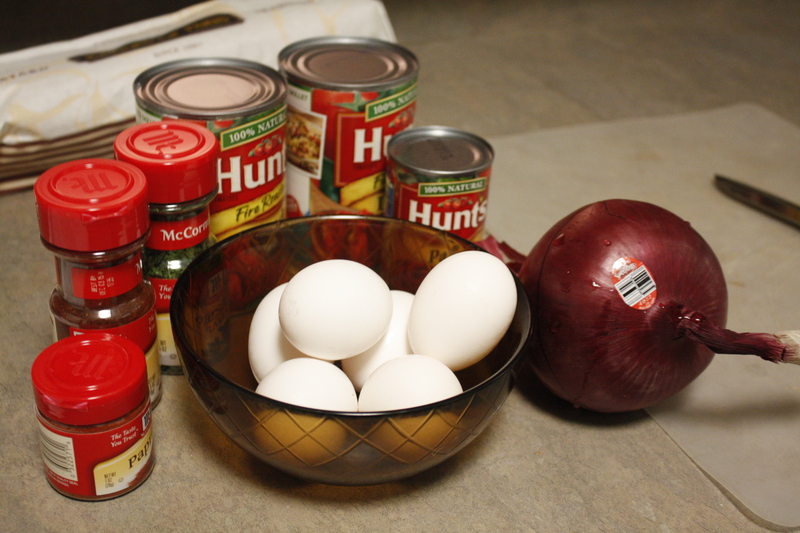 Mix in the tomatoes and tomato paste. Gently simmer for 20 minutes. Taste it as you go along and add black pepper and sea salt accordingly. If it reduces too quickly and becomes dry, pour in a little water to keep it moist. By the end of 20 minutes, the sauce should be well balanced with a rich reduced piquant flavor. 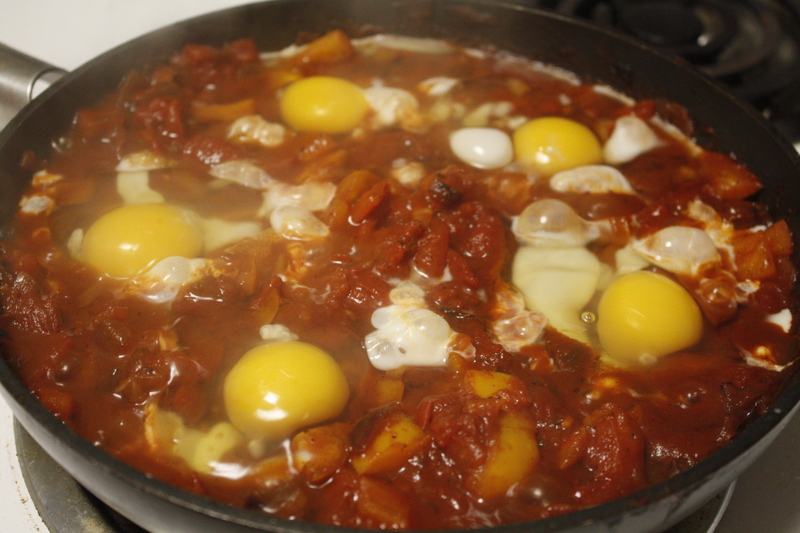 Make small wells and break the eggs into the pan one by one and slide on to the tomato sauce, arranging the yolks around the pan. Season the whites with salt. 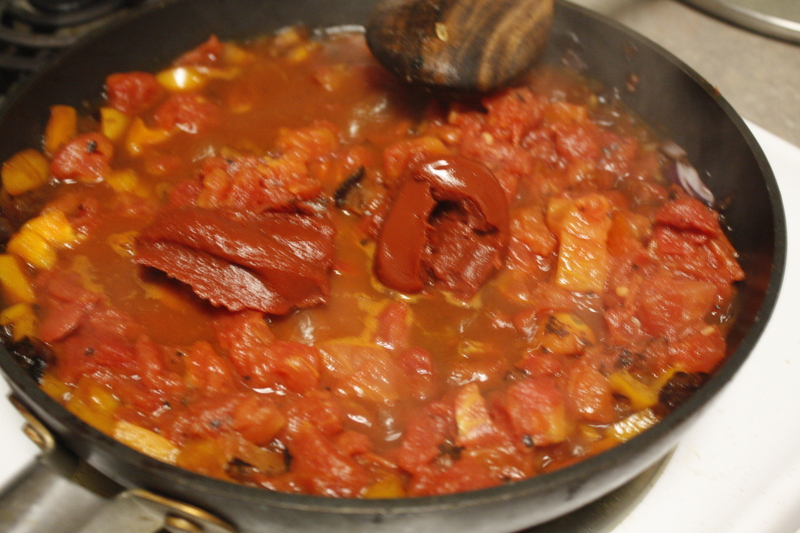 With a wooden spoon, scramble the white part a little into the tomato sauce. Cover the pan and allow the eggs to poach to the consistency you prefer: about 5 min for runny yolks, up to 10 min for hard yolks. Serve with delicious french or challah bread.